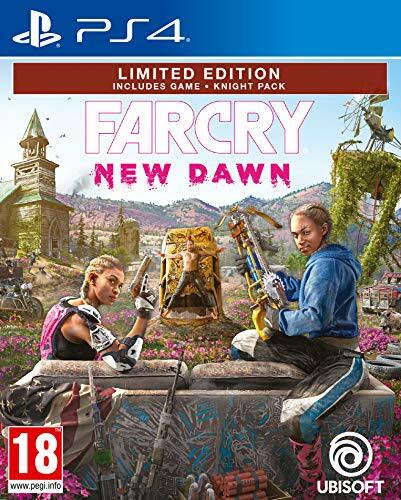 After the success of Far Cry 5, Ubisoft have decided to allow us a return trip to Hope’s County in a standalone game named Far Cry: New Dawn. This new experience takes place after a nuclear attack has rendered the world into a post-apocalyptic wasteland. 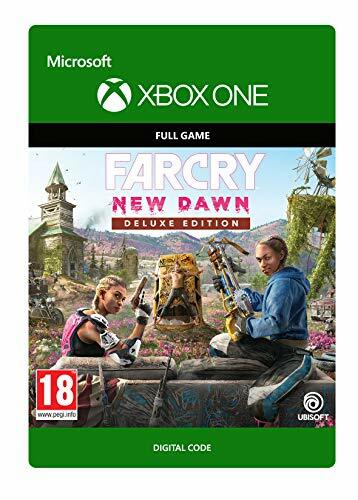 This trip to the end of the world is a first for this long running first person shooter franchise, but Far Cry: New Dawn’s apocalypse motif match the thrill of escaping a cannibal inhabited island or disbanding the influence of a religious cult? Seventeen years after the nuclear apocalypse, this new version of Hope’s County is ruled by a group of vigilantes known as the Highwaymen, who are ruled by ruthless twin sisters Lou and Mickey. These twisted siblings’ rule by intimidation and brute force, expecting everyone to fall into line with their plans. This time around, you play as a character known as the Captain, who works as an enforcer for a group of heroic civilians, led by a man named Thomas Rush. The game’s storyline is roughly half the size of Far Cry 5, in a similar manner to how Uncharted: The Lost Legacy was a condensed version of the familiar Uncharted experience. This change works to New Dawn’s benefit, as the story continues at an even pace, without any filler content to keep you playing for longer than necessary. For the most part, the gameplay structure of Far Cry: New Dawn sticks to the tried and tested Far Cry formula. After your group is ambushed by the Highwaymen, you are rescued by a young woman named Carmina Ray, who was born right after the nuclear attack took place. After being taken to her home, a freedom fighter base by the name of Prosperity, you are enlisted to help strengthen their resistance. You help to strength Prosperity’s potential by recruiting people scattered across Hope’s County who can help their cause. 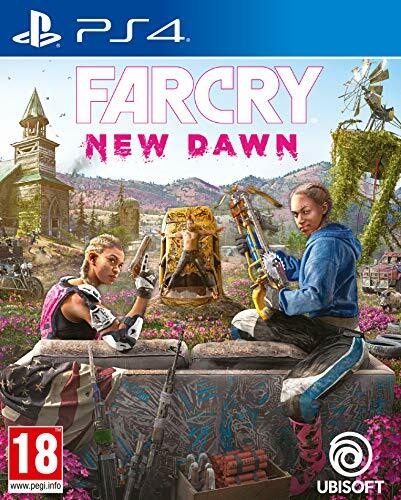 Like the previous Far Cry games, each character has a vibrant personality, especially the antagonist twin sisters, the hyperactive cartographer named Bean and a blind weapons expert named Grace. A much greater emphasis has been placed on upgrades this time around, with every facility in Prosperity having the potential to become better equipped as you gather Ethanol from across Hope’s County. Ethanol is essentially New Dawn’s main currency, so you will need to loot a lot of enemy outposts and randomly spawning supply drops to make your new home into an unstoppable behemoth. Some of the facilities are more useful than others, such as the Workbench which allows you to customise and upgrade your weapons using resources found scattered in the overworld, and the Expeditions board which unlocks the free roaming open world game’s most valuable gameplay mechanic, the Fast Travel feature. One of the new features in Far Cry: New Dawn is the Gun for Hire mechanic, which allows you to recruit specific NPC’s to travel with you as you work to liberate Hope’s County. These characters include the spirited dynamite expert Carmina Rye, a mysterious hooded individual known as The Judge and even a barely domesticated attack boar named Horatio. Each Gun for Hire has their specific strengths and weaknesses, such as Horatio’s useful ability to charge large groups of enemies and come out unscathed, and Carmina’s annoying tendency to not keep silent during tense encounters. The personalisation offered by these characters helps to keep things fresh, and their useful ability to revive you from the brink of death is always handy, provided they can reach you before you float away from your stationary corpse. 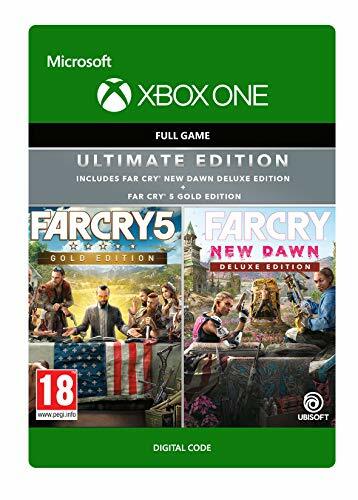 From a graphical perspective, Far Cry: New Dawn uses the same engine as Far Cry 5, with practically identical extra enhancements provided if you are playing on an Xbox One X. The frame rate problems seem to have been stabilised, and the graphics look both sharp and colourful at either 4K or 1080p resolutions. 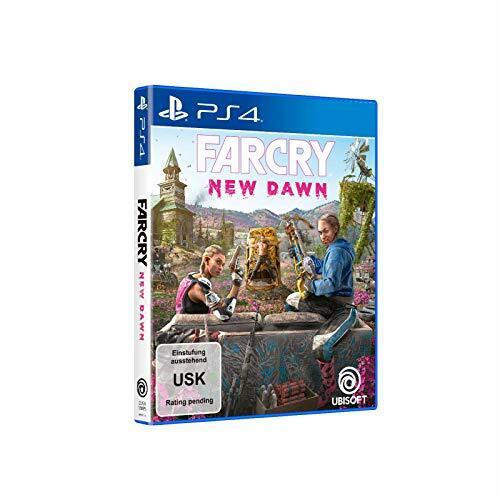 Like’s it’s immediate predecessor, Far Cry: New Dawn uses a mixture of original recordings and licensed tracks for its soundtrack, although the latter are understandably fewer given the game’s setting. As you may expect, the voice work for the characters is finely tuned and well performed, with Carmina Rye, Lou and Mickey and The Father standing out among the consistently excellent line up. Overall, Far Cry: New Dawn is an engaging standalone experience that delivers exactly what it aims to do. The post-apocalyptic world of Hope’s County is beautifully rendered, alongside a new vibrant set of characters and the additional upgradable Guns for Hire spicing up the usual gameplay mechanics. If you have been aching for more Far Cry action, this trip to Ubisoft’s digital first person shooter scape will certainly fill the void, at least until the inevitable next entry in the series arrives in the not too distant future. 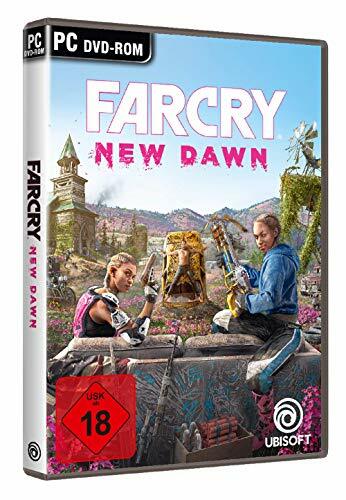 If you are looking for a first person shooter to fill the "end of the world" void left by The Walking Dead, Far Cry: New Dawn is an apocalyptic action game that may just fit the bill.